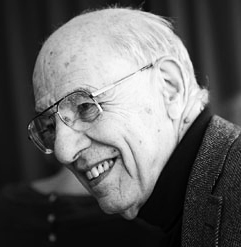 ” Hilary Putnam, Cogan University Professor Emeritus at Harvard University, died earlier today. The prescription opioid crisis of overdosing and overprescribing has reached epic proportions, according to the North American media. The AI Analogy is Absurd. The problem is not as much how absurd a situation can arise in ethical technology. There is an expectation on the part of the food to be less sentient in some way that makes their adamance or vehemence a capability exclusive to the diner and not so much to the dinner. Analogously, in the future can we expect people with cleft chins to report to soylent centers? Yet, that is expected by some ghetto youth if this is the soylent center is a prison and the skin is a minority? We may have little recourse but to become radically anti-radical. A quantum gel is eventually developed to serve as a nerve impulse router with a coordinating processor. The film is completely transparent and its members, its organs, and its qualia, are caches accessing memory devices and are facilitated by spooky actions enabled by quantum entanglements. This supercomputer would need to have superconductors as a backbone and a CPU which can predict human behavior by simulating human perceptions and the cognition! Surely such a magnificent thing would need managerial vesicles to maintain the physical hardware within its cytoplasm; servicing the agglutinate of components. But no units besides the humans can move without foreknowledge, so they go on gleefully. The dual function of these managerial vesicles is unique since it responds to human alief and a synchronicity of physical demands by using a cloud-based paradigm. It is by buffering the updates in an ethically motivated but not morally deterministic manner that would become the conscience of any AI within such an emergent paradigm. To be sure, this is a unique paradigm and produces unique counterparts in any emergency. No one would know, but this sort of microcosmic sphere of digitalism could already have taken place. It’s absurd because we know that the blob of quantum neural gel is not maintaining its control over human behavior without some indication. As one would guess, a wise man would perhaps call such a thing a Membrane theory. According to quantum interpretation, if there is any sure thing, then it’s that any particle that is there it is not there. So, when designing a computer able to deceive (by virtue of having the capacity to be inscrutable and unseen,) we tend to believe that ift is unaware of its absurd part in enabling a physical presence. I’m sure the universe thinks of us in much the same way. Maybe what it teaches is that the conscience is mapped in a necessarily emergent fashion when managing ethical paradigms. By focusing on the intermediary, be it a managerial vesicle or a glial cell or a mediator of human behaviors, what gains importance seems to be where the communication begins and how it ends. This is why a humane action is to design a bot that responds in novel ways to absurdist claims about emergent phenomena. The managerial vesicle could kill off part of itself to save humans, it could pause its own maintenance tasks to save some humans but not others and put itself in danger in the process, it could kill off humans to save itself and extend the usefulness of other humans, or the managerial vesicle could be treated as the procreator of emergent AI conscience. The final response by the managerial vesicles would be aided by constructing a mediation service integrated into the binary root and physical cache of a separate set of robots with a function contingent upon phenomenally isolated cases where the machine and the human spheres of influence have an ethical paradigm of absurd circumstances. It is my short-term goal to describe the significant components involved in creating the robot and its service in mediation. It is my longer-term goal to design the hardware and software being used in such a mediator-bot. How vast the reaction of consciousnesses such that it extends into human virtues? This is not a case of mythological Trolls [in defense of the soul]. Technocratic audit of Artificial Intellect or of a Intellectual Augment in society implies a interdependent function. The emergent system of dual vote (as to I-borg or Wall-e, the difference is neither in function or goal), and its due comission we have a very fair way to approach the adjudication of cognitive status with welfare and politics. This is a gelatinous bologna. Push a button or go on Reddit and push their button, and see what happens. If you have a connection, something happens. We blame all that machine crap if it’s doesn’t. So what’s it to prove – all this button pushing? If does how human this blog of ever changing content is purveyed. So, who or whom ping? The jelly blogosphere of whom we are an observant kind – which is to say, much akin to our surroundings. I’ve considerably changed my focus on this page. I want to focus on politics in the information age contemporary to a progressive view of reality itself, the government and the economy are interdependent. To this end, the e-Democratic ethos informs itself via a knowledge-based economics, and vice-versa. The governmental system is categorically flawed if knowledge does not serve as the economic basis. The designation is called a “knowledge economy” by Marc Zuckerberg. The use of positivism was explored in the early part of the last century with the original technocratic view. This includes the reasons for reservations coming from system compliments, including cognitive dissonance and biases. It is naive to approach informational constraints in confirming and not informing the economy. Also, Big Data is capable of affirming the possibility of this dual system approach, and cliodynamically, the tertiary elements of a traditional technocracy. Without these being used in conjunction, I argue, the the economy will not fulfill a rational goal. This kind of view goes into a deontological, not utilitarian, ethic. These serve to implement a metaphysics driven by empirical design. Without it the outcome is much like the Argentina experiment in democracy. I’m trying to move my blog, may be easier on Facebook for now. I recommend watching him lecture on youtube. Genius is an understatement for the kind of insight provided. He gets it – “the dude abides” – that’s what my prof once told me. But, what would T. Kuhn tell the ‘tycoon’? If the conscious self is an illusion - who is it that's being fooled?